Whether you have osteoarthritis (wear and tear on the joints) or an autoimmune inflammatory type like rheumatoid arthritis, dealing with stiff hands can be one of the most frustrating parts of managing arthritis day to day. 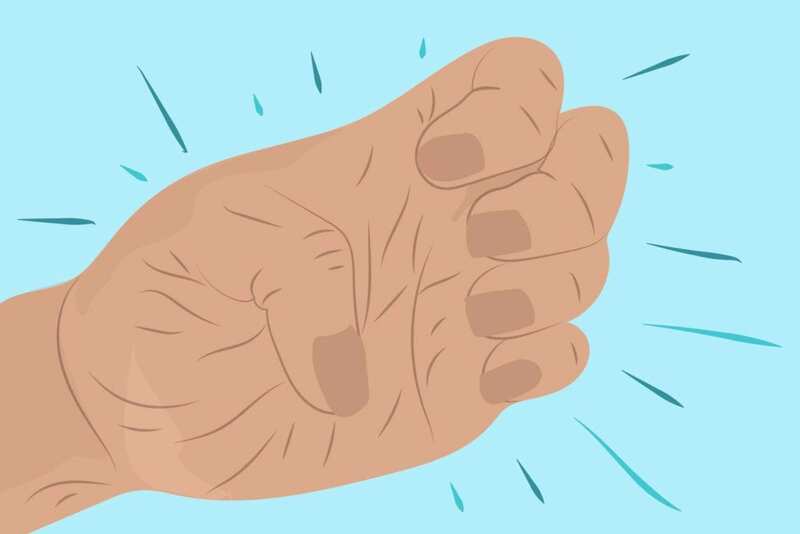 Your hands, made up of lots of little bone connections, are particularly prone to pain and swelling — yet you need them more than any other part of your body to complete daily tasks. That’s where hand exercises come in. Although osteo and inflammatory arthritis affect the joints differently, exercise has been shown in both conditions to improve flexibility and range of motion, reduce joint damage, and lessen symptoms of pain. According to the American Academy of Orthopedic Surgeons, exercise increases blood flow to damaged cartilage, helping it stay healthy and prevent further breakdown; exercise also strengthens muscles around the joints to help take some of the pressure off. In addition, for OA, “these exercises will help increase the production of synovial fluid, which lubricates the joints so we don’t feel that stiffness,” says Karen Jacobs, EdD, OT, OTR, CPE, FAOTA, an occupational therapist who works with arthritis patients and a clinical professor at Boston University. “Exercise” doesn’t have to mean a 45-minute whole-body endurance workout. Simple and quick stretches for your hands can help keep these crucial body parts limbered up and ready for the day’s activities. As always, clear it with your doctor before starting an exercise regimen. An occupational or physical therapist who is a hand specialist can also help develop the hand exercise plan that’s right for you. Do them throughout your day. “Many of these exercises can done [resting hands] on the table or counter, but you can also do them wherever you are: standing in line, commuting on the train or bus, even in bed, before you start your daily activities,” Jacobs says. Be gentle. Do all motions slowly, and stop when you feel tension so you don’t injure yourself. For each exercise, hold for two to three seconds if possible, and do reps of 10 for each hand. The whole set can be done daily. But if anything hurts, stop. Be mindful while doing the exercises. “Breathing in with your nose and out with your mouth to help relax and reduce stress is another thing to incorporate,” Jacobs says. Start with your fingers straight and then slowly bend your hand into a fist. Make sure your thumb is on the outside of your hand. Don’t squeeze too tightly, then straighten again. Stretch your hand in front of you, palm up. Then take each finger and move it very slowly to the center of your palm. Hold it, then straighten. Move your fingers like you’re going to grab a little ball, and try to form a shape of a C or an O. Go as far as you can (an O would be making a complete circle with your fingers and thumb). Straighten your fingers and repeat. Have your hand in a loose fist with the pinky side of your hand on a table. Then point your thumb to make the thumbs up sign, put it down, and repeat. With your palm flat on a table, fingers spread slightly, lift each one slowly off the table, then back down before raising the next. Hold your left or right arm out with the palm facing down. Then take the other hand and gently press your whole hand down toward the floor. “People overdo this exercise so be very careful,” Jacobs says. “Some people have a tennis ball or a stress ball and they like to squeeze that gently,” Jacobs says. Are there any had motions that aren’t good for people with arthritis? “A lot of repetition: typing on the computer all the time, constantly using one of your digits like texting with a thumb,” Jacobs says. In addition, you can keep of log of your activities and when you have pain, in order to identify individual triggers.